Thick fog and air frost last evening, gave way to above zero C by 4 am with plenty of cloud. Clear spells for a time last night allowing for a widespread ground frost. Cloud increased towards midnight and the frost slowly lifted. This morning so far, overcast, mist/fog, damp underfoot. Vis down to <400 yards. 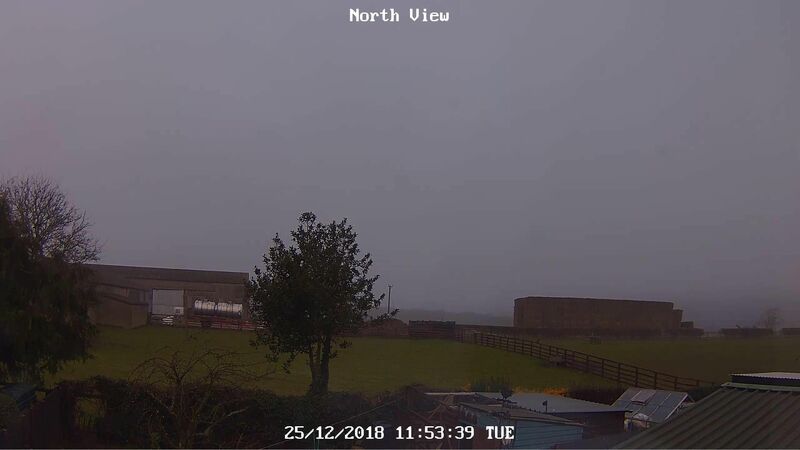 Maximum temperature to 18:00 GMT yesterday 5.8C. Minimum temperature on grass -4.0c. Barometer 1030.0mb: Trend falling slowly. Rain and drizzle cleared away late last night. Clear spells developing leading to a widespread frost. At observation, frost, icy underfoot, well broken cloud. Good sunny spells through the day. Cooler than of late. A happy Christmas to all on here from me too. A clear start to last night with a ground frost but low cloud moved in during the evening and lowered to give hill fog, and drizzle, after midnight. Foggy so far this morning but with occasional brief overhead clearances allowing a glimpse of blue sky. Cool, dry with fog starting to thin. Overcast with some drizzle,light winds. 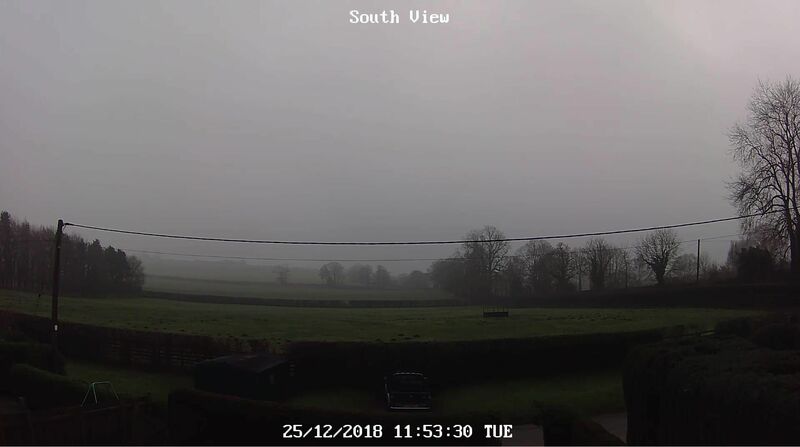 A mild Christmas day with long sunny spells. Foggy all day, although the fog did thin a little during the late morning and early afternoon. Intermittent drizzle from aroudn 1400 onwards.